The first full length album and cassette release on Outrun, Sundae is a mini modern funk odyssey by Scotland’s High Park Funk, one in which we visit many of his standout modern funk and boogie gems. From the introductory Sundae, the lights are dimmed for a special listening experience—and we get what we are promised. Bright and gleaming cuts like Tell Me How You Feel and Kounting Stars, the Kleeer-esque My Melody, and the sloppy spoonful of funk served on Grandad, are what make this stripped-down, funkafied album a lovely addition to a growing funk tape collection. This is a album for lovers of glassy, beautiful chords, stanky bass lines, scintillating synth leads, and of course, glorious doo-wop talkbox ditties. 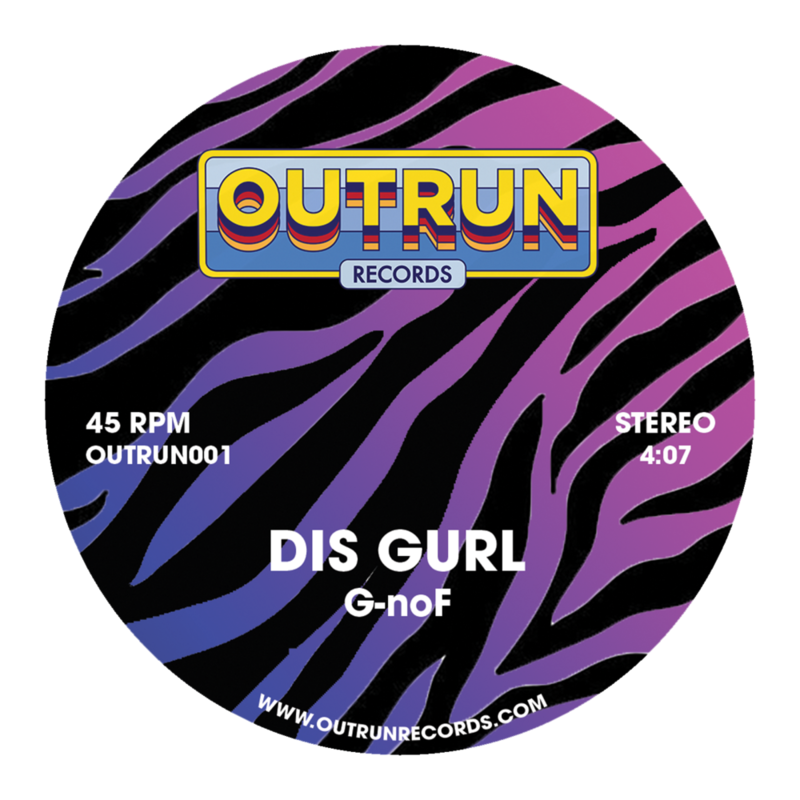 High Park Funk comes with all the freaky fix-ins for our fourth release—a sultry sampler from his upcoming cassette on Outrun Records. We present here, two highly considered cuts for a must-have 7-inch. Beginning with Sundae, we part through satin sheets, and witness a vibe softer than soft serve, putting you in some kind of mood with a funky RnB flavor. Sundae is a silky lullaby with a bassline and synth lick that just won’t quit. A certain smoothness from the A side reverberates on side B’s Subtle Groove, but with the tempo pushed a tad higher. The pads are meditative, and bring forward whatever emotions one feels in the eye of a summer storm, but its the bass line, again the star, that’s so satisfyingly sticky one can’t help but bob their head—subtly or otherwise. Ed Mount playfully fuses together RnB, boogie, and funk on Rock It Good with the effortless warmth of an LA afternoon sun beating down on a dashboard full of tapes. Listen for smooth talk box melodies, cool rhythm guitar licks, and a sensuous stream of chords that’ll feel like rocket fuel in your very own pink grapefruit jetpack. Take it for a spin. Flip the record to hear Them Bloom. This is a B side that lingers in the cool air, spilling a little extra in the glass. Dazedly unfurling with a bluesy tinged funk, it's pop music made for the lights down low, like a recent Homeshake album or a Kindness record produced by Philippe Zdar. Beat by beat, one feels the need to feel around to see where each curve leads, until the build up evaporates into something unexpectedly cinematic. With Frequency, the listener wakes up a decade later, hit with a laid back gangsta funk track. Solid kicks and claps, gingerly played keys, deft bass lines that bounce at the perfect height, eye watering leads, and most importantly, a locked-in talk box vocal that brings the track together perfectly, making this one a must-have for friends of the funk. 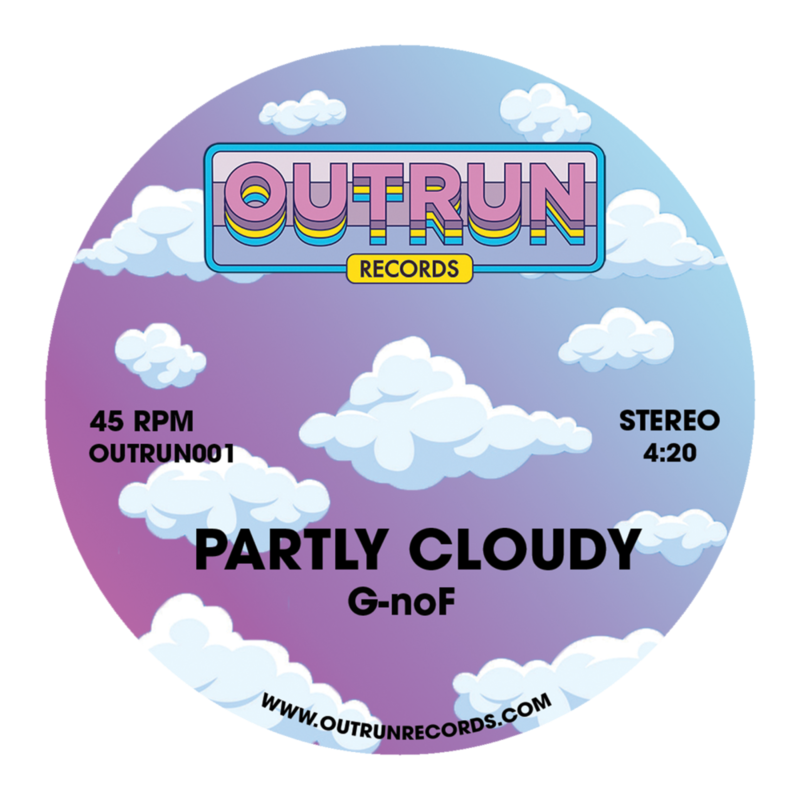 French modern funk producer G-noF helms Outrun Records’ maiden voyage into the funk. And it’s no secret why as soon as you cue up the first cut. With Dis Gurl, the listener enters a world gilded with a pink and orange haze, a fictitious LA skyline as the backdrop. The locked-in groove is undeniable. And a little icy synth line over dewy-eyed chord progressions feels like an ice cube going down your back. We imagine a lady looking on. Several cool drops fall from her mojito. On the second number, Partly Cloudy, G-noF transforms a Chevy Impala into a jet ski with wings, sending us on a floating expedition through the skies above Montpellier, a refreshing day dream to say the least. It’s good to be alive, you think, as the strings, chords, and melody allow a certain sweet reflection. Partly Cloudy is funk that paints a picture with water colors.